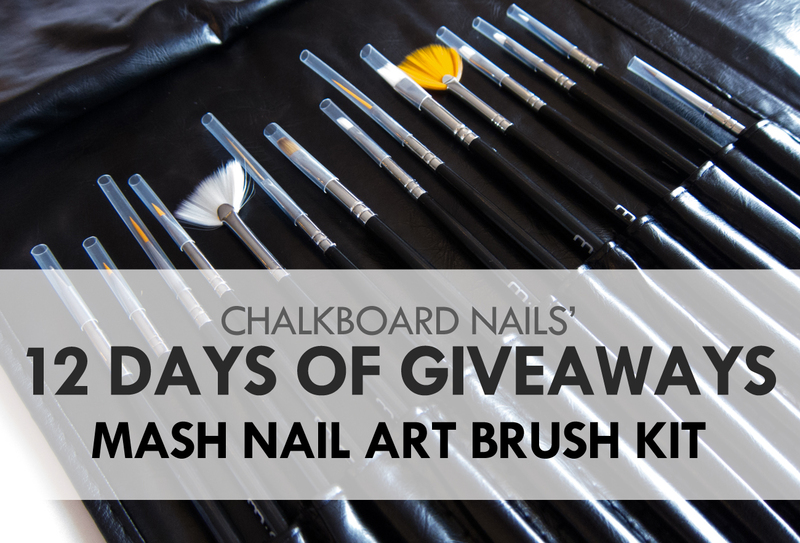 Today's giveaway prize is one that is particularly close to my heart: the MASH Nail Art Brush kit! It has a ton of great brushes in a variety of shapes, sizes, and lengths, and I think that it's great for beginner nail artists and more experienced ladies alike. The medium length striper brush from this kit is one of my most used brushes, and the other brushes will let you experiment with a number of different techniques and styles. 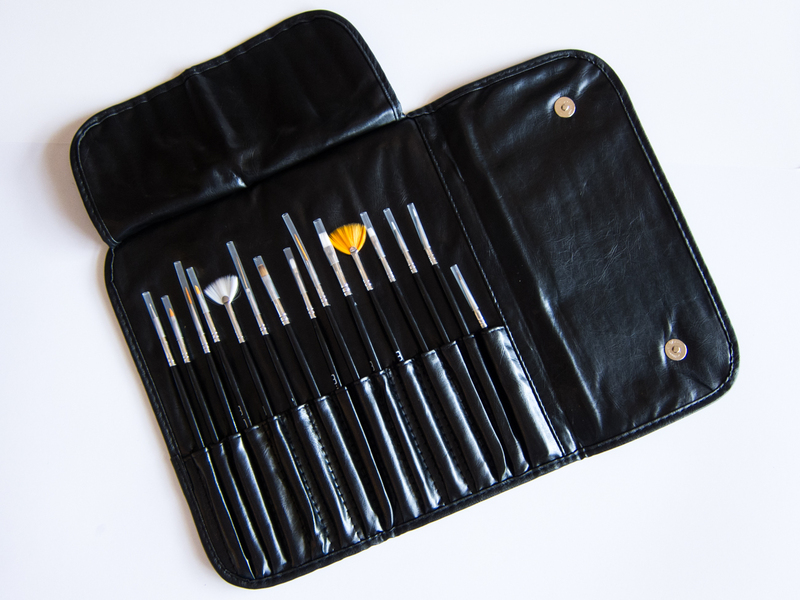 Two lucky readers will win the entire 15 brush set, including the nifty organizational case. Read on to enter! Please enter using the Rafflecopter widget below. Must be a follower of Chalkboard Nails to win. Must be 18 years of age or older, or you must have your parent's permission to enter. This giveaway is open internationally and closes on December 12, 2013. Prize provided by MASH Nails. The 2 winners will have 48 hours to claim their prizes, after which new winners will be chosen as necessary. I love the MASH stamp plates I have, I'm sure the brushes are awesome! whoah, it's seems a geat set ! I've only got 3 brushes, definitely need to get more !
" Must be a follower of Chalkboard Nails to win. " I just need to know how you keep up with my blogposts, so you have to be a subscriber somewhere (Bloglovin, Facebook, Tumblr, Twitter, Instagram, etc.) You don't need to follow in each place. Thanks for clearing that up. Now I can finally say that I'm qualified to join since I'm a twitter and Instagram follower of this blog. Yay! I am a huge fan of the website and I follow you on twitter - I love your tutorials and I buy a majority if the products you have on site or recommend. This would truly be honor to win because I don't have anything like this and it truly means the world to me to win something!